Almost a year ago I tried to take my own life. It’s also been less than a year since I took up art as a form of therapy to deal with what I was experiencing, both previously and in the aftermath of my attempted suicide. Sure, I’d heard of van Gogh before, who hasn’t. In the months following those events though, his name and his work started to mean more to me than it did before. Looking at his paintings, as well as reading about his life, made me think about my own in different and more intense ways. Most people are familiar with the eccentric Dutch painter who went on to become one of the most famous and influential figures in the history of Western art. Van Gogh started painting at the age of 27, and within a decade he created something near to 2,100 artworks that included around 860 oil paintings. He had the reputation of being a complicated man; some say he had a difficult temperament. To many, he’s the artist who cut off his ear. The Van Gogh we seem to know of is one who painted sunflowers and was close to madness. 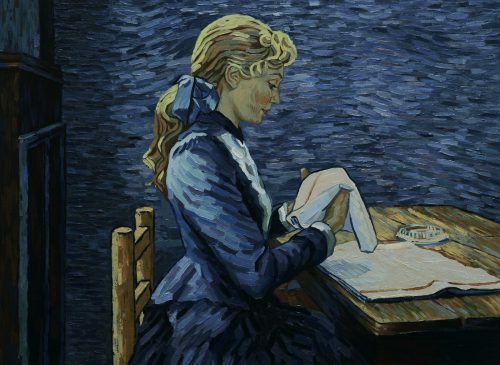 Loving Vincent paints a different picture of the artist, literally. Six years in the making, the film was partly funded by a Kickstarter campaign and holds the honour of being the world’s first fully hand-painted film. After the scenes were shot as a live action film, a team of 125 artists recreated them on oil canvases using van Gogh’s techniques; Loving Vincent consists of over 65,000 painted frames, and the result is a moving masterpiece in every sense. The story plays out a year after Van Gogh’s death. 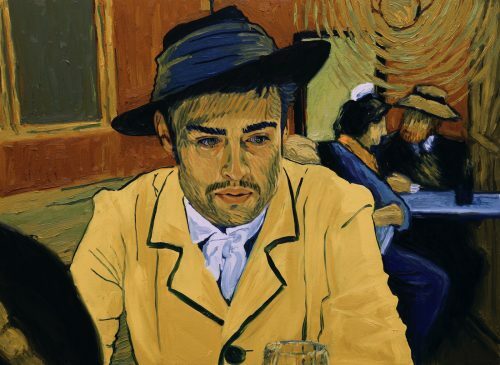 Armand Roulin (Douglas Booth), a serious young man whom Van Gogh had painted a few times before, is tasked with delivering a letter from Vincent to his brother, Theo Van Gogh. This starts the young man off on a journey that sees him trying to unravel a long-standing mystery; how and why Van Gogh came to be shot on July 27th, 1890, aged 37. The common story is that it was suicide, but it’s not the only story. Armand soon finds out that Theo, whom Vincent was so close to and who funded his life as an artist passed away soon after his older brother. Armand stays in Auvers-sur-oise, at the Auberge Ravoux where Van Gogh stayed for the last 70 days of his life and where he died. 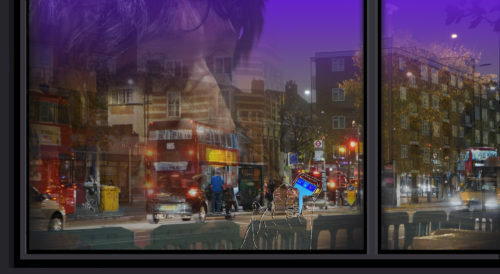 He seeks out those who knew him there and who saw him in the days leading up to the apparent suicide. Armand tries to hear their stories, no matter how conflicting, and from that tries to patch together what might’ve really happened. As someone on the autistic spectrum, I share Van Gogh’s extremely sensual worldview. 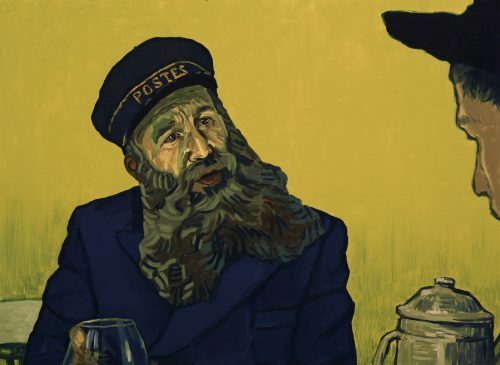 The structure of the film in telling a story that occurs after the painter’s death, yet through his very own eyes, feels bizarre and absorbing at the same time. It has this afterlife effect, Van Gogh always present through wild colours, exquisite textures and circling strokes. It almost hardly matters that the narrative, and with it the dialogue, remains somewhat fractured and lacks energy at times. Flashback sequences are painted in black and white, and even here, they’re a sight to behold. We meet Dr. Gachet (Jerome Flynn) who was a good friend to the painter and who treated his gunshot wound. There’s also his enchanting daughter, Marguerite (Saoirse Ronan) and his church-going and gossipy housekeeper Louise Chevalier (Helen McCrory) who’s more bothered that Van Gogh did his deed on a Sunday, the Lord’s day, than that the poor man had been shot. Being not only visually stunning, the film is also a bold yet nuanced take on a cultural giant. It’s captivating to see the paint moving across the screen with each frame, and probably recognise dozens of van Gogh’s originals woven into the story; we get a real sense of every brush stroke van Gogh might’ve made as he painted his masterpieces. The musical score by Clint Mansell amplifies van Gogh’s art with its tender strings and, at times, soaring crescendos. Loving Vincent had a profound effect on me. One of the things that touched me the most were the film’s closing words, from the letter van Gogh himself had written, the very one Armand was trying to deliver. They reminded me of my own story when I had become non-verbal before starting to draw and paint myself as the only way to express my emotions and communicate with the world. Thank you very much for your review. I was always fond of Vincent and I loved the song ‘Starry Stary night,’ by Don McClean. I will try to see this film.I’m glad you are engaging with with the arts for your own well being. I started writing some years ago and it has made a huge different. I did some training and coach Writing for Welbeing workshop. Now I am trying to go back to my first love painting and art making. I am a member of Arts Disability Wales.